John Waraniak - Dream. Build. Drive. S.T.E.A.M. - Innovation Nation World Tour T-Shirt! Students, educators and parents registering before January 22nd, 2015 will receive a complimentary, limited-edition, S.T.E.A.M. - Innovation Nation World Tour t-shirt! STEAM is a way to teach how all things relate to each other, in school and in life. It’s more fun than traditional learning styles and makes more sense to all types of learners because it is based on the natural ways that people learn and are interested in things. STEAM = Science & Technology interpreted through Engineering & the Arts, all based in Mathematical elements. Ignite Automotive 3 Gains Steam! An evening of automotive conversations with a twist. Fast-paced, thought-provoking, and social, Ignite is a high-energy evening of five-minute talks by people who have an idea—and the guts to get onstage and share it with their hometown crowd. Connected through the global Ignite network, it’s a force for raising the collective IQ and building connections in cities across the globe via video streaming and archives. 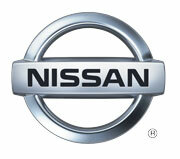 There is a widely held belief that the Automotive Industry is headed toward a crisis of human capital. As senior workers exit into retirement, the younger generation of skilled and unskilled workers is showing little interest in pursuing careers in manufacturing. The agenda for Ignite Automotive 3 is intended to inspire the next generation. It will be packed with engaging speakers who will share their stories and their passion for industry. Metro area students, both High School and College, will be heavily recruited to attend. At Ignite Automotive, speakers have exactly five minutes to enlighten us – backed by 20 slides that auto-advance every 15 seconds, whether they like it or not. As an attendee, you’ll learn about innovative concepts emerging within the industry, while networking with a diverse crowd of those passionate about the industry. We are delighted to announce that Ralph Gilles, Senior Vice President, Product Design, Fiat Chrysler Automobiles, will give a keynote address to kick off the evening. Charlie Wollborg, of Curve Detroit and TEDx Detroit fame, has agreed to emcee the evening. The agenda of 5-minute Ignite presentations is filled with a cast of industry enthusiasts whose passion for the industry is viral. They are coming prepared to share their stories with our newest generation. Our third event, Ignite Automotive 3, will be held on Monday, February 9, 2015. Student, Parent and Educator tickets have been subsidized by Fiat Chrysler Automobiles (FCA) and are free of charge. General admission tickets are complimentary and can be found on the eventbrite site. As an added benefit, we will be facilitating internship, job shadowing or direct employment opportunities between students and sponsor companies at an event to be held in the hours preceeding the presentations. This will be an opportunity for students to learn about opportunities in the industry and about how to position themselves for success! 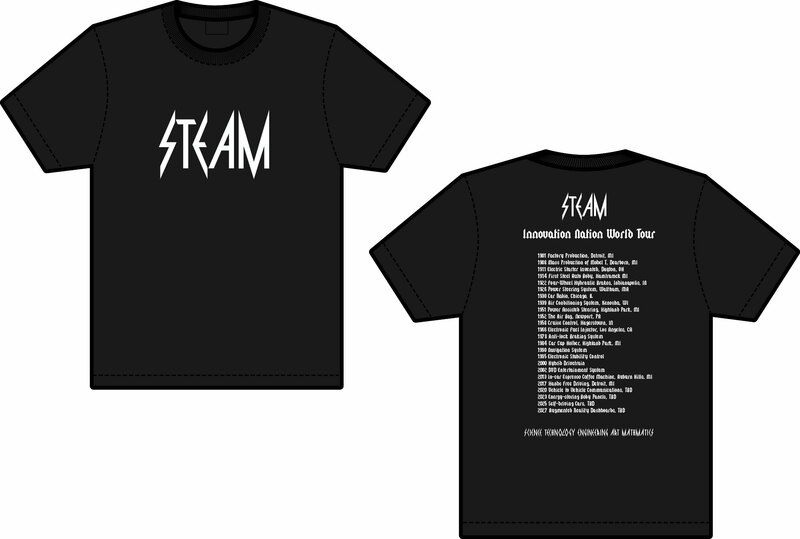 For students, educators and parents registering before January 22nd, we will be printing a limited-edition t-shirt promoting STEAM education. The shirt is a fun spin on heavy metal concert t-shirts highlighting technical innovation. Mark your calendars for February 2015 and get ready for Ignite Automotive 3! There is a “brain drain” in the Automotive Industry as workers exit into retirement. The agenda for Ignite Automotive 3 will inspire the next generation with innovation and opportunity within the Automotive Industry. It will be packed with engaging speakers who will share their stories and their passion for the industry. Metro area students, both High School and College, will be heavily recruited to attend. We're proud to announce that our third event, Ignite Automotive 3, will be held at the Royal Oak Music Theater in February 2015. Ignite events are community run events that share a common format: 5 minute talks where speakers use 20 slides that auto-advance every 15 seconds. If you are passionate and have innovative ideas that you'd like to share on any aspect of the auto industry, we'd love to hear from you! We're accepting applications for speakers today! You don't have to have the entire talk and slides ready, but fill out the form and get in touch with us. Ignite Automotive is a community driven event. Everyone from the speakers to the organizers volunteer their time in order to put on this event. If you are interested in helping out, we'd love to talk to you. Ignite Automotive 3 will be held February 9th, 2015 at the Royal Oak Music Theater in Royal Oak, Michigan. Ignite Automotive is an evening of automotive themed presentations with a twist. Speakers have exactly five minutes to tell us their story, enlighten us, or simply inspire—backed by twenty slides auto-advancing every fifteen seconds. Quick, fun, and to the point!